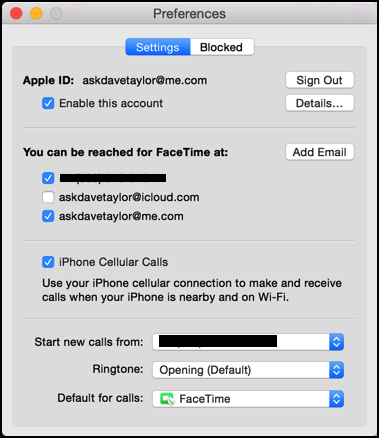 Stop your Mac and iPad from ringing on incoming calls? When I get a phone call on my iPhone 6 my iPad and Mac both ring too. Very weird. How do I turn it off? The tight integration between iOS devices and the Mac that’s shown up with Mac OS X 10.10 “Yosemite” and iOS 8 is a real boon in some ways, and rather startling in others. Having your phone in your pocket when a call comes in and being able to answer it on your iMac? Terrific. Being able to initiate a call on your wifi-only iPad? Very slick. But having all your devices ring simultaneously every time a call comes in? Not so good at all. Fortunately Apple’s design team realized this and there’s a way to turn things off whether you’re on an iOS device or on a Mac system. The critical element to realize is that it all works through Facetime on the non-phone devices. See that middle part? “iPhone Cellular Calls”. Uncheck it. Now, the downside is that it severs the entire tie, which is a drag. 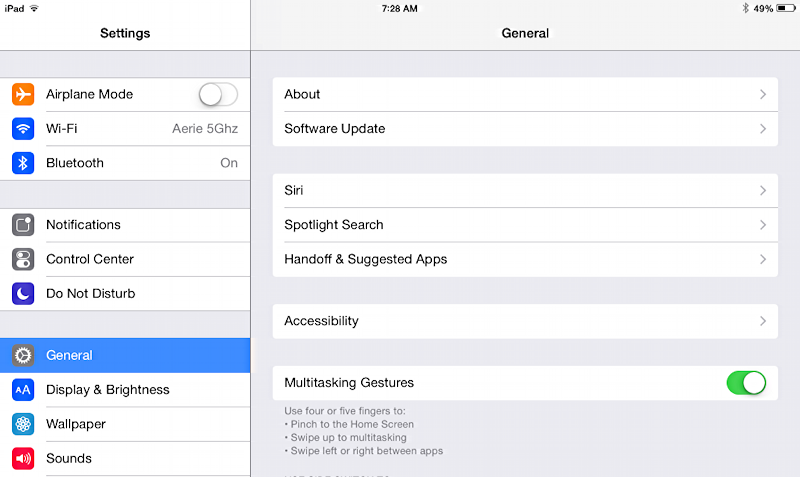 The iPad settings are similarly “all or nothing”, as we’ll see. 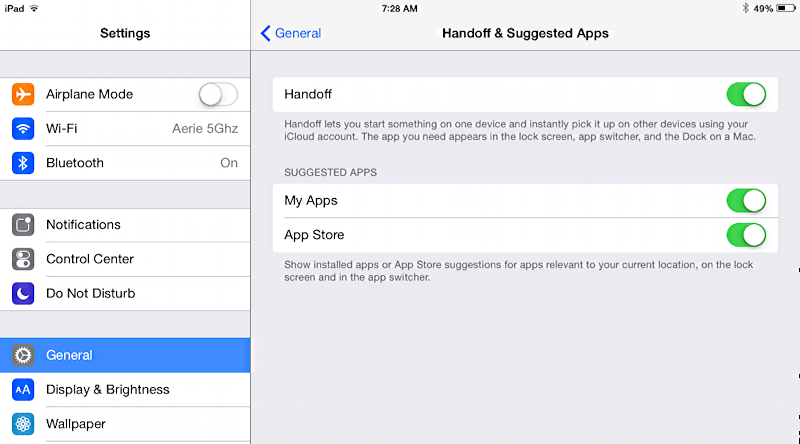 Before we leave “General”, though, do check the status of your “Handoff & Suggested Apps” setting. Again, if you’d like to disable it, simply unselect “iPhone Cellular Calls”. And that’s all there is to it. I expect down the road that there’ll be an option for “don’t ring on cellular calls”, but for now, this is how you can disable or enable the feature. Me? I have it enabled on my Mac, but disabled on my iPads. Thank you, thank you, thank you!! 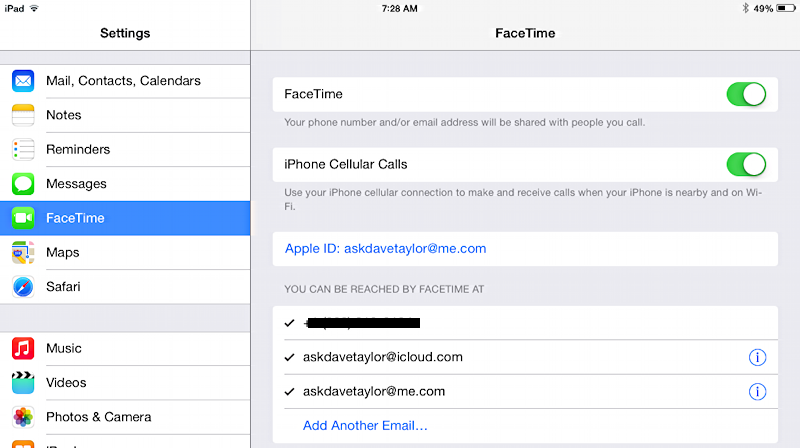 I never even thought to go through FaceTime to stop my iPad from ringing when my iPhone rings. You rock!